Sylvia de Matteo is on vacation in Italy with her daughter and fiance when she is kidnapped by left-wing terrorists at Stazione Centrale, Milan’s train station. Inspired by the Red Brigade (Brigate Rosse) of the 1970s, Fabio Cecconi, the leader of the group, hopes to start a revolution to protest against political corruption and the financial crisis in Italy. Antonella Amoruso and Giorgio Lucchini are in charge of the investigation for Milan’s law enforcement agency DIGOS, and they are determined to find Sylvia. Thirteen Days in Milan is the first book in a series featuring Giorgio Lucchini and Antonella Amoruso from Milan’s Questura. Jack Erickson got the idea for the novel while snapping pictures at Stazione Centrale in Milan. His wife, along with his luggage and passport, were already on the train. He thought: what if something happened to me? 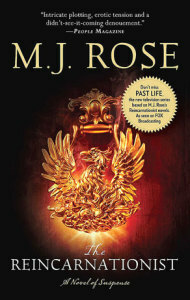 This is the basis for Thirteen Days in Milan, a fast-paced and suspenseful story. The author’s love of Italy is evident in his descriptions of the country, its food and its inhabitants. 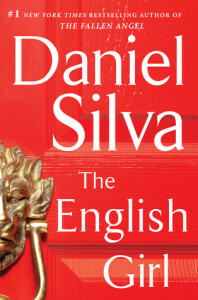 In addition, the fact that it is told from different points of view (the victim, her family, the police and the terrorist) makes the novel more gripping and original. 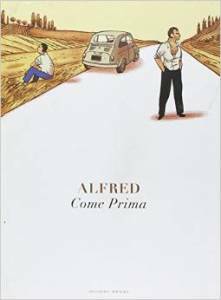 However, the prologue of the book where the author explains the events of real-life Prime Minister Aldo Moro’s kidnapping and assassination is a bit dry but once we are introduced to the de Matteo family, the story gets more interesting. At times, the dialogues felt a bit stilted though. In addition, Sylvia seemed more afraid of spiders than her captors, and I thought that her relationship with Fabio appeared very improbable. While I am well aware of the Stockholm Syndrome where a victim feels empathy or sympathy for the kidnapper, Sylvia’s relationship with Fabio was well beyond that. In spite of this, Thirteen days in Milan is a promising start for the series. 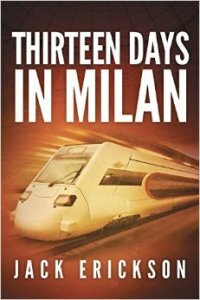 Thirteen Days in Milan was sent to me for free in exchange for an honest review. Jack Erickson also writes a travel blog, A Year and a Day. The author discovered his love of reading when he received 3 Hardy Boys books for Christmas when he was 10 years old. Jack Erickson once was a US Air Force intelligence officer. Like the de Matteo family, the author spends his summers in Italy. Jack Erickson wrote a book about the history of US microbreweries, as well as a cookbook and 3 travel guides. 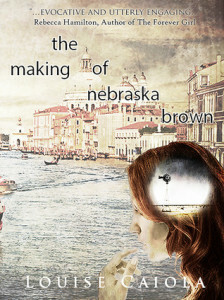 About the author and his work: Jack Erickson’s Website.